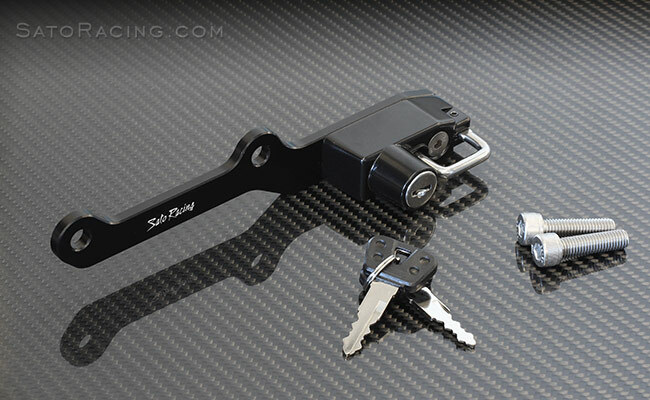 Keep your helmet secure with a SATO RACING Helmet Lock for BMW S1000R and S1000RR. This rugged lock mounts in a convenient location behind the passenger peg bracket on the left side. Ideal for those times when you want to stop somewhere while out on a ride and don't necessarily want to carry your helmet around with you every time you park. 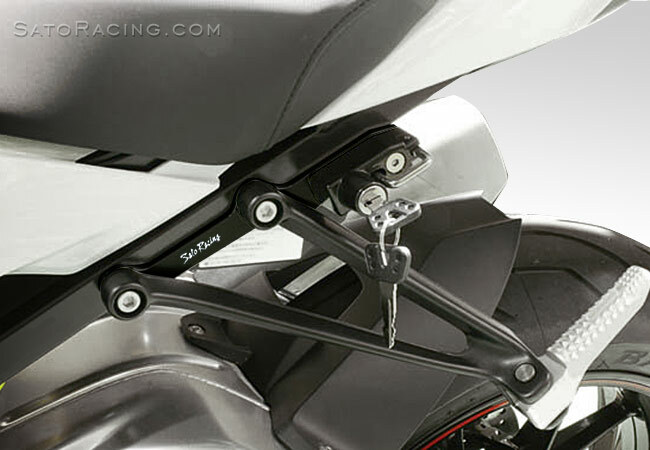 Although originally designed for the S1000R, this lock will also fit S1000RR (all years). And if you have our Racing Hooks installed in place of the peg brackets, this lock can be installed together with the hook, mounted behind it. Includes 2 keys.